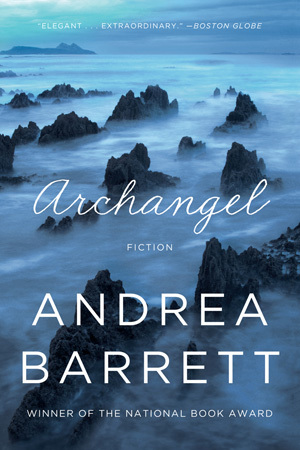 Winner of the National Book Award for her collection of stories Ship Fever, Andrea Barrett has become one of our most admired and beloved writers. In this magnificent new book, she unfolds five pivotal moments in the lives of her characters and in the history of knowledge. During the summer of 1908, twelve-year-old Constantine Boyd is witness to an explosion of home-spun investigation—from experiments with cave-dwelling fish without eyes to scientifically bred crops to motorized bicycles and the flight of an early aeroplane. In 1920, a popular science writer and young widow tries, immediately after the bloodbath of the First World War, to explain the new theory of relativity to an audience (herself included) desperate to believe in an “ether of space” housing spirits of the dead. Half a century earlier, in 1873, a famous biologist struggles to maintain his sense of the hierarchies of nature as Darwin’s new theory of evolution threatens to make him ridiculous in the eyes of a precocious student. 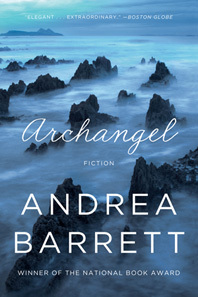 The twentieth-century realms of science and war collide in the last two stories, as developments in genetics and X-ray technology that had once held so much promise fail to protect humans—among them, a young American soldier, Constantine Boyd, sent to Archangel, Russia, in 1919—from the failures of governments and from the brutality of war.